As varied as these activities are, they are suitable for all levels of fitness. Getting the nerve to try them out though is another story. Imagine 50 trampolines connected together with padded walls and pits of foam and you have AirHop, the first of its kind in England. 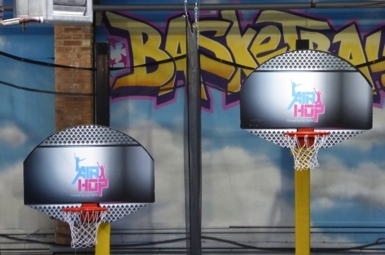 You can now practice slam-dunking like Michael Jordon, play a game of dodge ball or practice moves you have only dreamed of. This place is a great place for kids to burn off energy or 1,000 calories an hour for £10/person. The Fitness Hangout was the first studio in the UK to feature this New York City craze. If you want to learn how to fly, flip and invert — this is your chance. 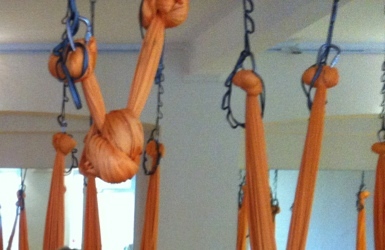 Using a silk hammock it combines traditional yoga poses and principles with elements from aerial arts, dance, gymnastics, Pilates, and calisthenics. As well as being fun, it’s a complete workout that is certain to get you in shape while realigning you – we walked away an inch taller and smiling. 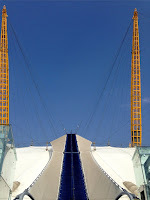 Up the O2 is really a climb over the roof of the O2 on a raised walkway.&nbsp. At the top, there's an observation platform with 360° views of London and its landmarks including Canary Wharf, Olympic Park and River Thames. You’ll also have a chance to star in your own movie with help of motion trackers. But hold on tight for the climb, which is 52 meters above ground level and reached via a fabric walkway. 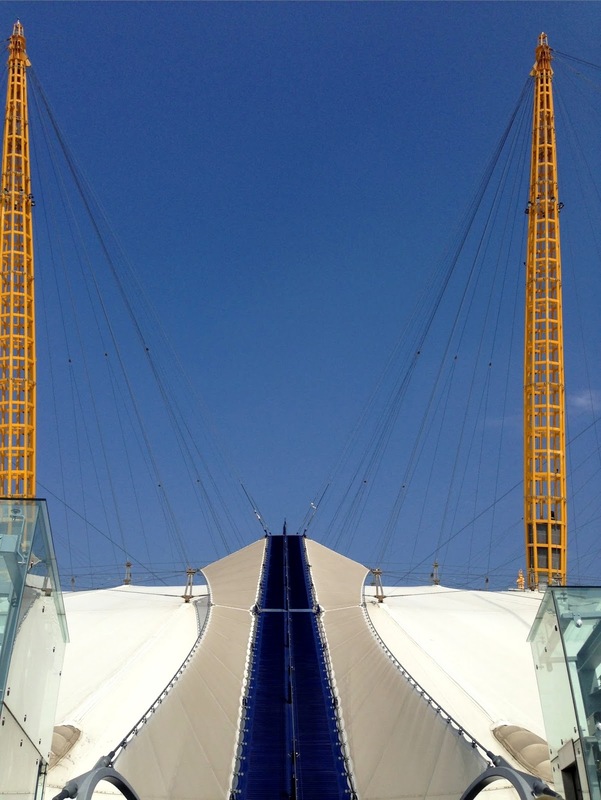 There is talk about a zipline being added from the O2 over the Thames. I’ll be there!